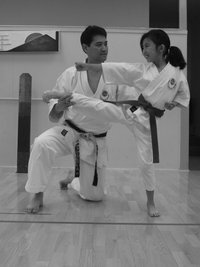 Since 1989, Academy of Martial Arts Shotokan (AMAS) has been providing martial arts instruction in Karate in the Bay Area. AMAS is a member of the International Shotokan Karate Federation (ISKF). We hope you enjoy our website and will stop by and visit us if you are in the area. This site is designed to give you information about our facility, our style of martial arts, our staff and provide you with information on how to contact us.